■ Total-Excellent++++-Pre-owned, minimal signs of use■ Serial Number 1851319■ Appearance Appearance is beautiful & clean!, tiny scuffs from normal use.It shows signs of use. *Please check photos.■ Optics Beautiful condition. No fog.No fungus.No scratches.No separation.There is a thin dirt on front lens. ■ Functional It works properly.■ Bundled Items Lens capRear capAll you can see on the picture will be included in a set of a package.Please refer to the pictures for more details.Please check the pictures and don't hesitate to ask any questions about the item ! Thank you. Nikon Ai-s Series E 100mm f/2.8 MF AIS Lens. ■ Serial Number. There is a thin dirt on front lens. from JAPAN. Hello, we participate from Japan. We provide the best service for you. tiny scuffs from normal use. Take to the hills, explore a forest, or travel on city streets with the Nikon Series E Ai-S 100mm f/2.8 Ai-S MF Lens at your side. Using it, you can also bring far-off subjects up close and personal. In fact, photographers can fill the frames while letting details in the background blur and fade away. The versatility of this lens is evident by its ability to capture both stills and fast-paced actions. As such, these type of lenses are ideal for the budding or experienced photographer.The Nikon Series E Ai-S 100mm f/2.8 lens has four elements in four groups. Its powerful focus allows photographers to focus to 1 meter stopping down to f/22 with its seven-bladed diaphragm. Its weight of 7.6 ounces complements the compact dimensions, which measure 63 millimeters around by 58 millimeters long. It is single-coated, which is just enough to provide nearly perfect flare and ghosting performance.Regarding the performance of this lens, three words will suffice: fast, sharp, and tiny. It is also a practical choice for rugged outdoor environment due to the sturdy construction that can easily withstand environmental challenges. Besides the refined frame, the body and aperture are also mechanically sturdy, which helps by decreasing the probability of mechanical malfunctions due to dust, moisture, and rust. The easy-to-use 52-millimeter filter thread can be changed quickly without any fuss.It is interesting to note that this 100-millimeter f/2.8 series telephoto camera lens is one of the only models manufactured by Nikon for use in 100 millimeters focal length. Likewise, the f/2.8 is also the first within the 100 to 105 millimeters range. Despite a long passage of time, the continued usage of these lenses is a testament to their classical design and performance. The 100-millimeter focal length is among many of its technical highlights as you can take beautiful portrait photos in a natural perspective.After using it for a while, you will certainly notice crisp and sharp images, which maintain very high contrast for all apertures. In addition, it is easily manipulated for depth of field control, offering effective performance for light photography and amateur quirks. Apart from a very streamlined ghost and flare performance, photographers will also appreciate that it does not have a linear distortion. Additionally, it is well-known for taking aerial photographs as different focal lengths have either minimal or no light falloff. A combination of these stellar features has made the Nikon Series E 100-millimeter f/2.8 MF lens a practical choice for photographers. With this Nikon series lens, you are able to capture almost every detail with the click of your camera.You can work with D-series, F-series, and even N-series cameras without any issues. 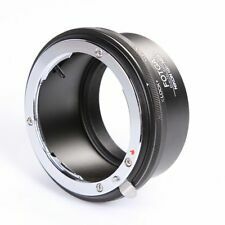 In fact, this manual-focus camera lens is compatible with most Nikon hardware, digital equipment, gear, and accessories. It also works flawlessly with earlier models of manual-focus Nikon hardware produced prior to 1977. These Nikon Series E Ai-S 100mm f/2.8 MF Ai-S lenses can achieve a variety of results through stop-down and manual metering. I just purchased this lens and took a few shots with my Nikon D80 to see how well it performed. This is a very good all manual lens. It does not meter on my D80. The photo's I took are very sharp and clear. It is a 100% better lens than the 18-55 kit lens that came with my camera. You will notice this when you first look through the lens to take your first photo with it. So, if you don't mind going all manual, this lens is great! The 100mm is also available in AF or AF-S. BTW, Manual mode will make you learn to,and, operate your camera!! My example is the second version and has been very well used but gives top results for a cheap lens.. good at any price. Optimum seems to be f11.Useable at any setting.It has a nasty scratch on rear element and it still is o.k. regarding flare. some minor distortion. a buy on a budget.Has AIS fitting as standard. Many good reviews seem to be justified...tempted to rate it as excellent but I will stick with good. Nikon glass that is very affordable...still. E Series was Nikon's Economy Line. Several models from that line are gems that are optically superb and yield results as good as Nikkors. This 100mm f/2.8 is such a lens. Although the E Series is known to use less metal in their bodies, and focus mechanisms wear loose due to composite materials, I found no such issues with this model. The mount is metal construction and fits firmly. It's a compact, light prime lens that is well-suited for use with mirrorless cameras when matched to an adapter. Just add a lens hood to get the best results in bright daylight. Super nice small comfortable lens with very nice results. Excellent lens. I love it. Small, light weight. Focus ring is smooth as butter. Great for when you are not too far away but not quite close enough and need a little extra light. Works great on my Nikon D7000 but without autofocus.